View all products by Sweet Leaf Bath Co. This gentle face polish is chock full of vitamins, anti-oxidants, and anti-aging properties. It will hydrate and nourish and leave you with a brighter complexion and a radiant glow. 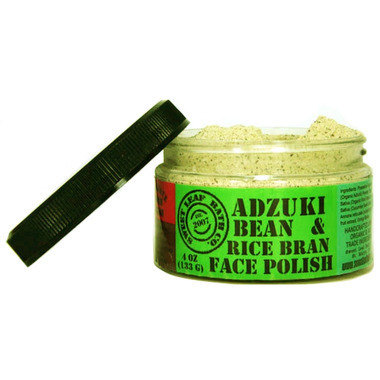 Ingredients: Organic Adzuki Powder, Organic Rice Bran, Cucumber Seed Extract, Custard Apple Fruit Extract, Ginkgo Biloba. Loved this facial scrub. It wasn't what I expected as it is actually dry. A bit tricky to use in the shower as you have to open it up and pour a little in your hand while trying not to get water in the container. But it works really well! You don't need to use much and only add a little bit of water. My skin felt great after and quickly looked better after only a few uses.